Israeli soldiers injured, on Saturday evening, several Palestinians in the al-Khader town, south of Bethlehem in the occupied West Bank. 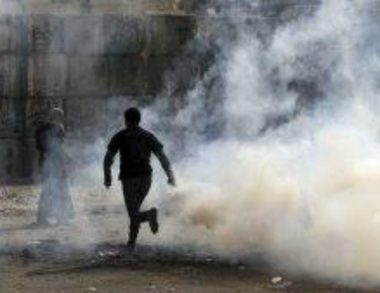 Several armored military jeeps invaded the town from its main entrance, and fired at many Palestinian youngsters, who protested the invasion and hurled stones at the army vehicles. The soldiers fired many rubber-coated steel bullets, gas bombs and concussion grenades at the protester, and many surrounding homes. The Israeli military invasions into the town targeted the Gate Area at the main entrance of the town, in addition to Dar Mousa neighborhood.